Home » Videos » Kitty Discovers Colorful Mini-Ball-Pit For The First Time…You Won’t Want To Miss His Reaction! Kitty Discovers Colorful Mini-Ball-Pit For The First Time…You Won’t Want To Miss His Reaction! Boomer is quite the energetic little kitty and has a complete ball (see what I did there?) when he discovers this ball pit filled with colorful objects! – His response is pure excitement… I love it! 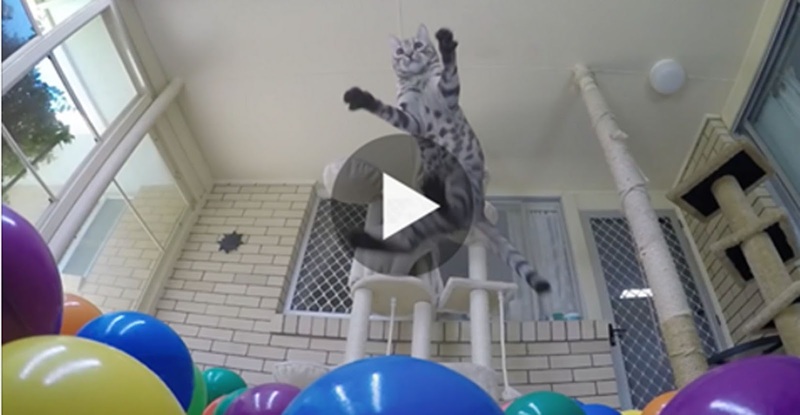 This cat’s owners had no clue how much fun he would really have, but when they showed this adventurous tabby the ball pit, you’ve gotta see it! – Boomer’s sister isn’t quite as excited about it, but Boomer? He just can’t get enough of it… Just watch this video!